Hai Phong City is located 120 km (1.5-hour drive) to the East of Hanoi on the coast of the East Sea. With a population of over 1,800,000 people, Hai Phong is Vietnam’s third most populated city and is one of the most important seaports and industrial cities in Vietnam. Nearby World Natural Wonder Halong Bay which attracts millions of tourists each year as well as numorous of beautiful beaches on the smaller islands in the Gulf of Tokin. For those who are looking for some beautiful places to visit after a round of golf, Do Son Seaside Golf Resort will be the perfect choice. 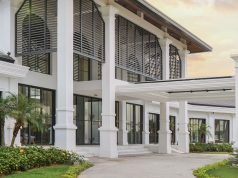 The course is conveniently located midway to the coastal resort town of Do Son, which is about 15 minutes from Hai Phong City. 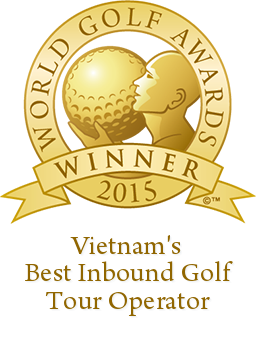 Surrounded by both sea and the legendary Dragon Mountains, the course exudes a majestic feel that simply cannot be compared to any other course in Vietnam. Golf enthusiasts of all abilities will enjoy the challenges as well as the natural beauty the course has to offer. 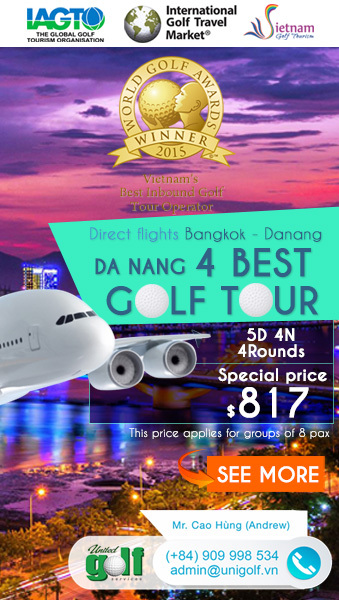 It sure promises to be a memorable experience for all golf lovers. The course is developed by Australia-based Pacific Coast Design Company – the international golf course design company that has created world-class golf courses all over Australia and Asia for 3 decades. 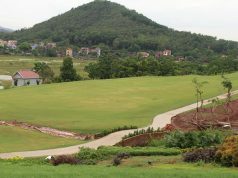 BRG Ruby Tree Golf Resort (Do Son Seaside Golf) is their second project in the North of Vietnam. 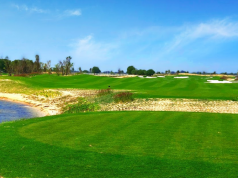 The newly-opened 18-hole course is specifically designed to provide strategically challenging for experienced golfers and social golfers alike, it combines sport and leisure within an impressive 6,836 yards. The combination of landscape of coconut palms lining the fairways in the deep green rough and constant sea breezes creates a natural seaside and friendly course atmosphere. The four-tee system including the serving tee creates a big challenge for professional golfers but still is manageable by amateurs. The greens are the signature of the course with a variety of different sized and shaped greens ranging from average to specially wide along with skillfully placed bends allow the players a number of pin placement choices. The design of the course has made full use the lake to the full advantage of the golf course and thus water comes into play at all time. There are safe routes away from the water as well as risk / reward shots for the confident player. The ocean breezes also add the excitement and challenge to the game regularly as well as cool the players. Paspalum grass is chosen for the playing surface due to its salinity tolerance, it’s the perfect choice for this location and weather and will provide year round consistency on the fairways and greens alike even in the toughest weather conditions. Each hole has unique characteristics to offer golfers, at every level, a challenge. Par is your friend at the hole 5th which is the longest hole playing up to 570 yards. Accuracy is also important as the strategically-placed fairway bunkers have derailed many players great attempts at par or birdie. The signature 6th hole 175 yards par 3 is both beautiful and challenging. The constant wind blows from left to right and players must take this into account. Only a purely struck shot will hold its line and finish on the green. Par is no guarantee due to deep bunkers and water on the left side. In January 2012 BRG Ruby Tree Golf Resort (Do Son Seaside Golf Resort) opened a new Club House with luxury design and modern equipment to meet international standards. Beside, Do Son Seaside Golf Resort had equipped the art lighting system at holes #7, #8, #9, #16, #17 and #18 to offer players night golfing experience. Address: Ngoc Xuyen ward, Do Son district, Hai Phong, Vietnam.